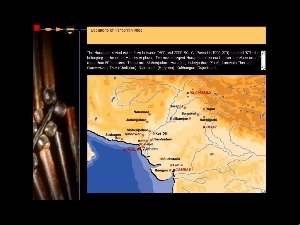 Review of Cornaline de l'Inde/Carnelian in India CD-Rom. Valentine Roux and Philipe Blasco (2000) Cornaline de l'Inde/Carnelian in India. From technical practices in Cambay to the techno-systems of the Indus. Editions de la Maison des sciences de l'homme, Paris [print] with CD-Rom for Mac/PC. Français - English. The CD-Rom format has been around for some time now with CD-Rom readers a standard fitting on even the most basic PC. The strength of this technology is that it enables large amounts of data to be stored (650-700 MB) on a reliable, portable and economical medium. The character of data stored is virtually only dependant on developments in the hardware and software used to generate and manage datasets, whether numeric arrays, databases, digital imagery or multimedia. These features have made it a popular mode for a diverse range of interactive educational, reference and entertainment software. 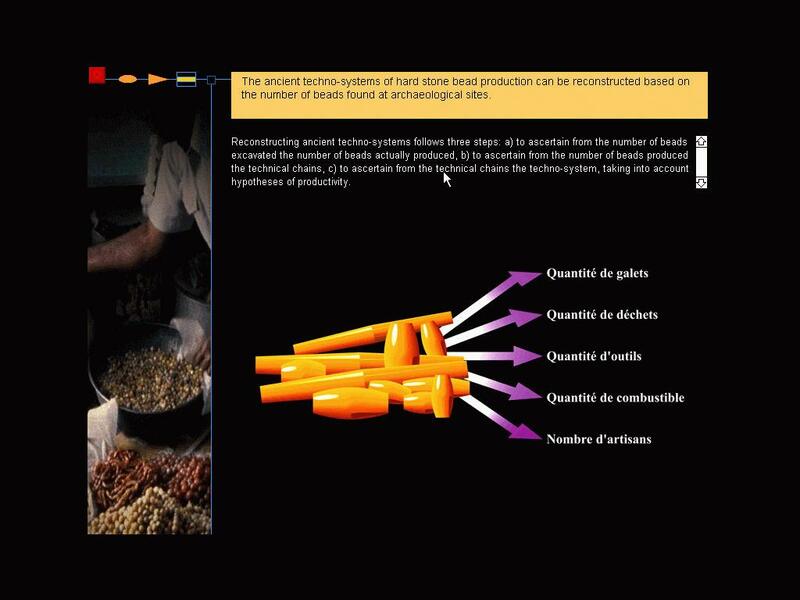 As a medium that can hold thousand of 'pages' of text, spreadsheets, colour images, animations and digital movies, CD-Rom technology also offers obvious benefits for the delivery of the diversity of data produced by archaeological research. It is surprising then that projects such as the bilingual Cornaline de l'Inde/Carnelian in India are few and far between. As the electronic companion for a book, the CD Cornaline de l'Inde was developed to provide a level of interactivity not possible with conventional publication. It is designed as both a reference work and didactic tool and contains two major components. 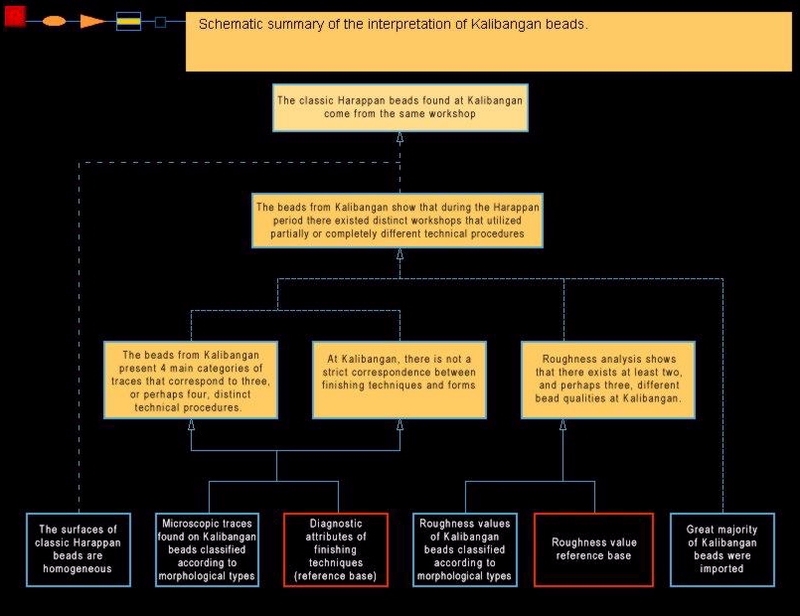 The first comprises four archaeological case studies of beads: the Indus, Kalibangan, Nausharo and Mesopotamia. 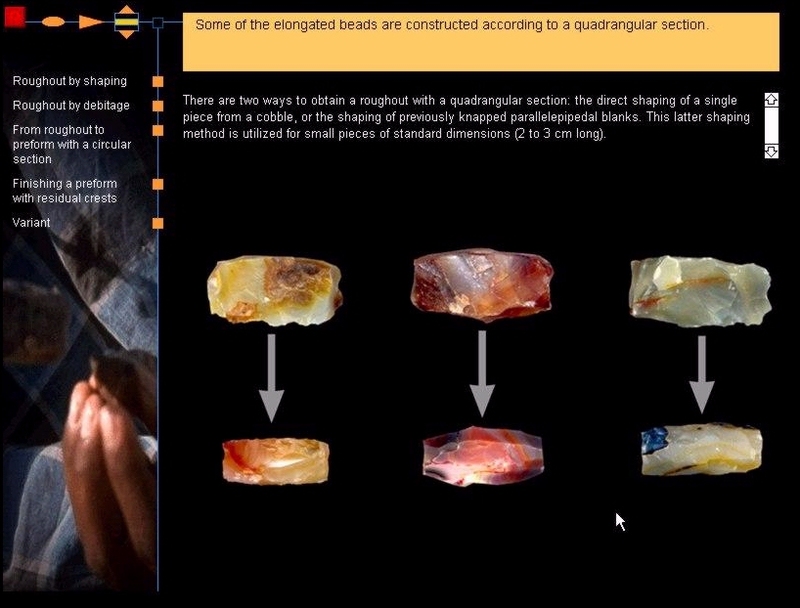 The second combines technological evaluation of carnelian bead production (knapping, finishing, and drilling) with ethnoarchaeological field observation. 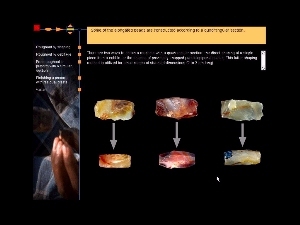 Together these two components are intended as the basis for modelling the levels of specialization or the techno-systems required for carnelian bead production in antiquity. 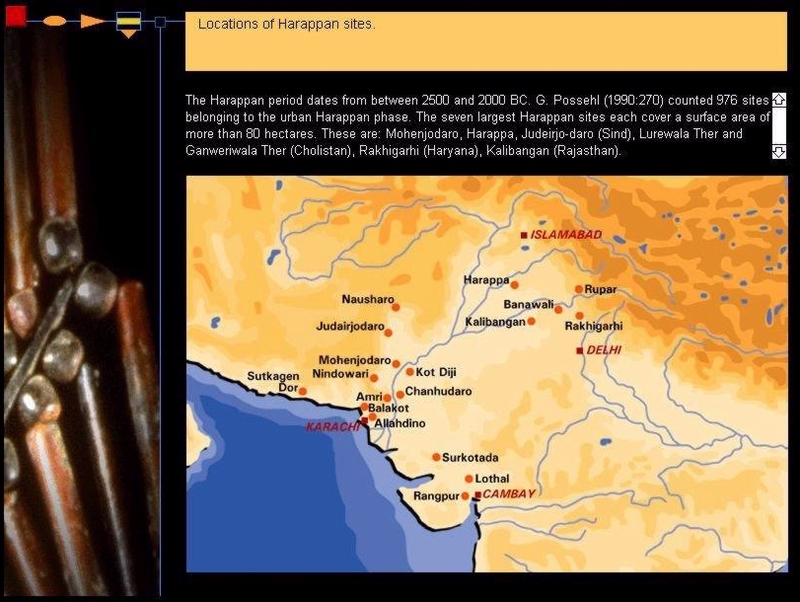 In the relationship between the rise of complex society in the Old World and technology, carnelian beads represent one of the earliest items of long distance trade connecting the Fertile Crescent, Indian subcontinent and eventually Southeast Asia. Because carnelian, a type of agate, is a very hard material to work its production in antiquity required a high degree of specialization. 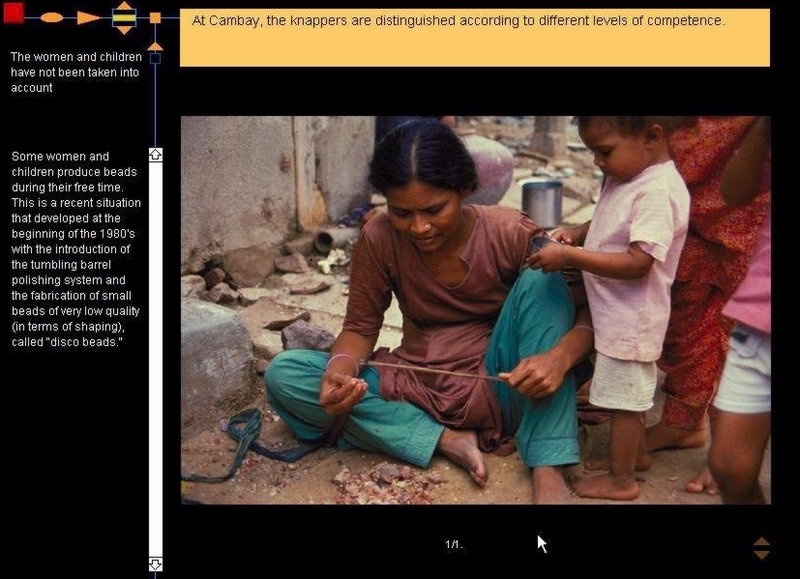 The archaeological objective explored through the CD is how an evaluation of the techno-system used to produce a specific bead type provides empirical insight into the degree of specialisation, long distance exchange and social complexity of early Indus and Mesopotamian societies. 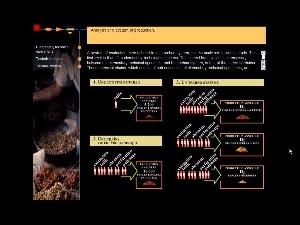 The CD format enables a detailed multimedia presentation of the range of practices involved in the modern specialised production of carnelian beads in the Cambay region of Gujarat. 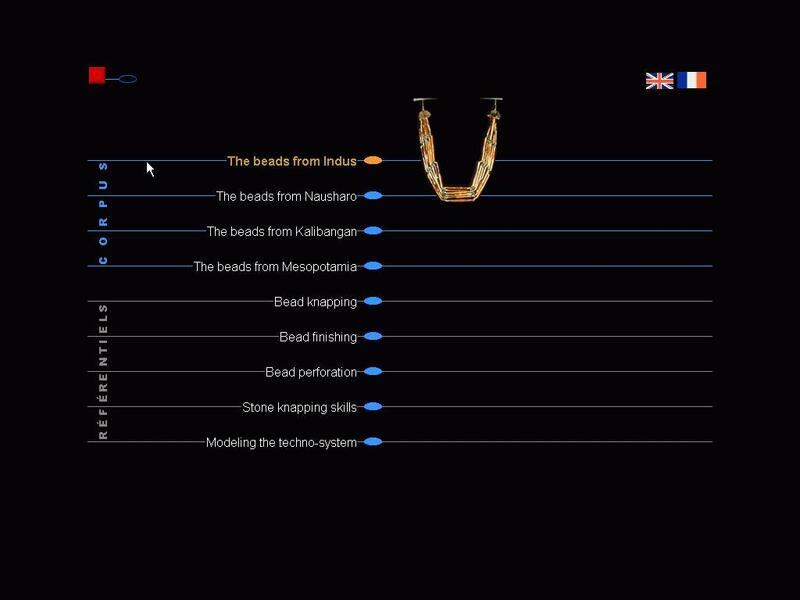 As many of the bead production specialists in the region no longer operate Cornaline de l'Inde/Carnelian in India will remain an important ethnohistorical data source. The orientation of the CD is primarily material cultural. 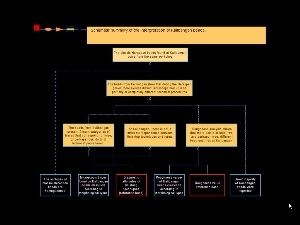 Although anthropological interpretations are schematically outlined, the major strength of the CD is the adoption of the 'chain of operation' (chaîne opératoire) approach in interpreting the technological stages of production. The authors present excellent examples of how techno-systems covering a range of bead types can be broken down into discrete, logical sequences. These are explored through ethnohistorical data coupled with the methods used to identify a sequence. 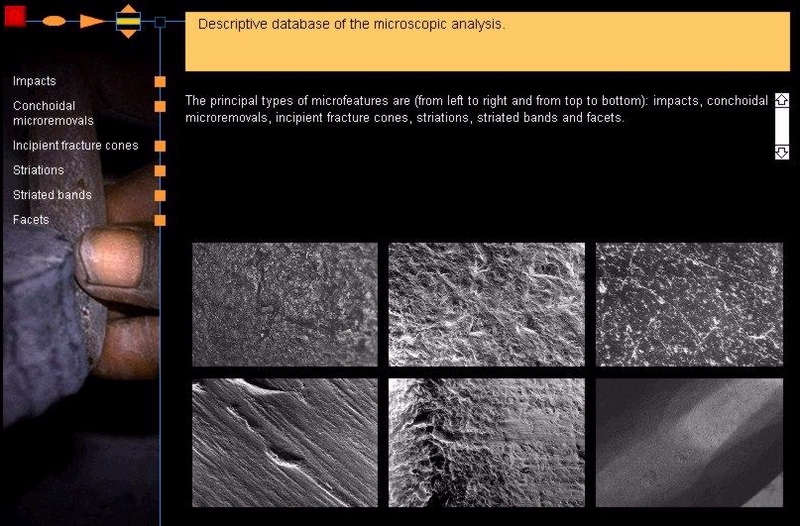 In the case of Optical and Scanning Electron micrographs of bead surfaces produced by different treatments, the CD provides a valuable reference tool. By demonstrating the logical links between levels of organisation and bead type as well as the ancillary specialist activities required (e.g. 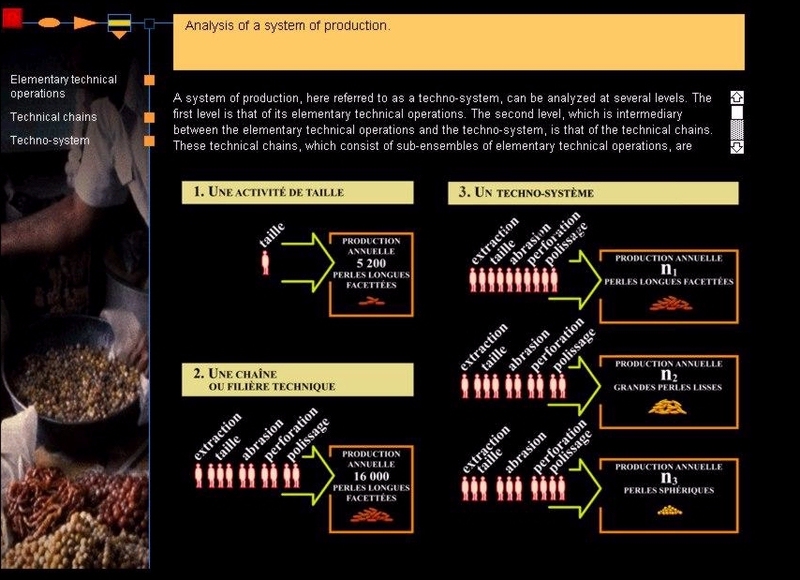 ceramic production, tool manufacture) the CD makes an important contribution to the place of 'chain of operation' analysis in archaeological studies of complex social systems. For university instructors, I believe this will make a welcome addition to the teaching arsenal for archaeological analysis and interpretation. Technically the operation of the CD on both Mac and Windows platforms proved very stable with animated reduction sequences operating smoothly. 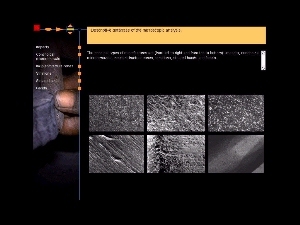 The inclusion of video clips may test older machines. While down sampling has been undertaken to minimise memory and replay issues in some cases I felt that downgraded video quality obscured the significance of a particular clip. Written in Macromedia the interface is stylish. At times style seems to take precedence over transparency in usage and I found the navigation icons a little quirky in this regard. More annoying is the replacement of the navigation index page by a context specific list page when launching subtopics. Attune to these idiosyncrasies and the CD is relatively easy to navigate through. 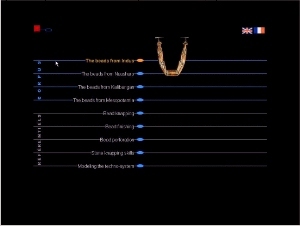 The choice of French or English language should make this CD widely accessible and generally the conversion of the French into the English language version is well handled although not always carried over into the numerous diagrams provided. 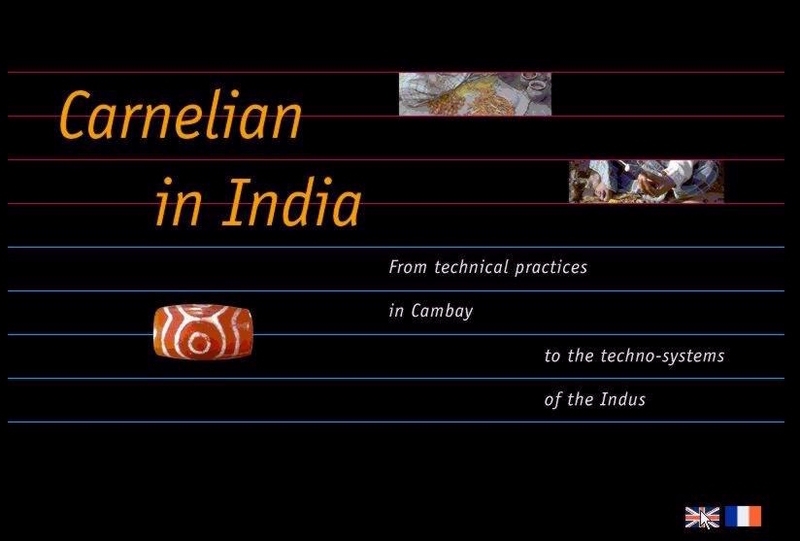 As an ambitious work that successfully bridges the ethno-historical and archaeological spheres, Cornaline de l'Inde/Carnelian in India deserves wide circulation and should find a ready place in the general curriculum of undergraduate archaeology courses or in more specialised classes. 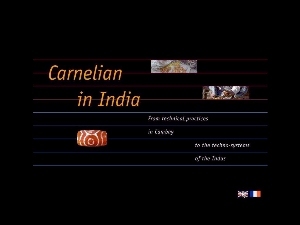 While Cornaline de l'Inde/Carnelian in India doesn't abandon print (the CD is expressly intended as a companion for the book), it does underscore the benefits of multimedia presentation of complex archaeological themes. Greater acceptance of multimedia as a teaching tool may also serve to highlight the research, pedagogical and economic viability of this format for archaeological publications.